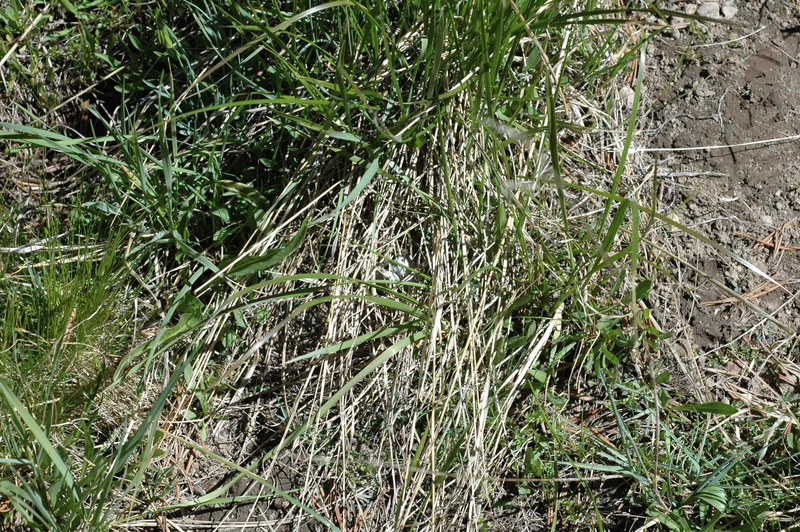 Their nest is in a meadow and it is extremely hard to see. I’m terrified that some vacationer will accidentally step on it. 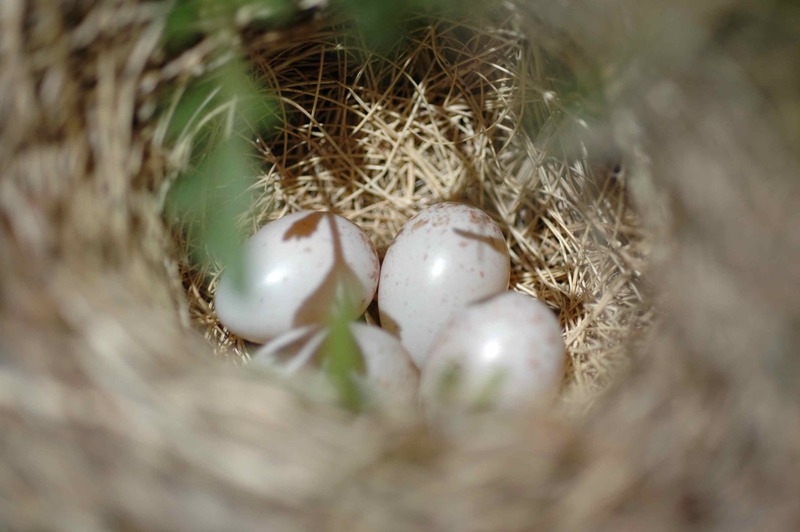 They have three eggs and OLLA has been incubating them for at least three days. I don’t know how far along they are; they might hatch tomorrow, or not for another 10 days yet. 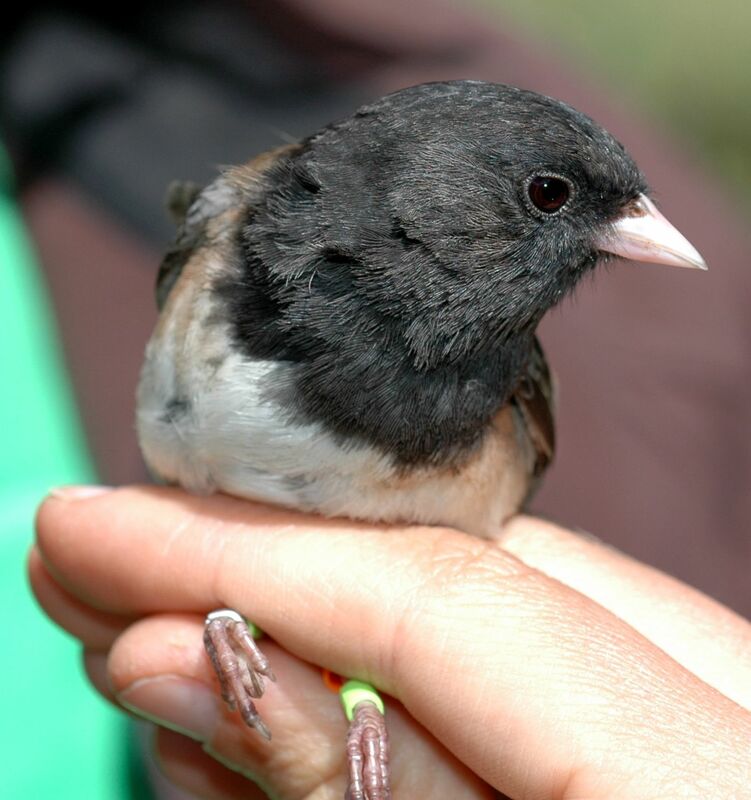 The second nest we found belongs to a pair of unbanded juncos. Banding them will be a high priority on our next trip. 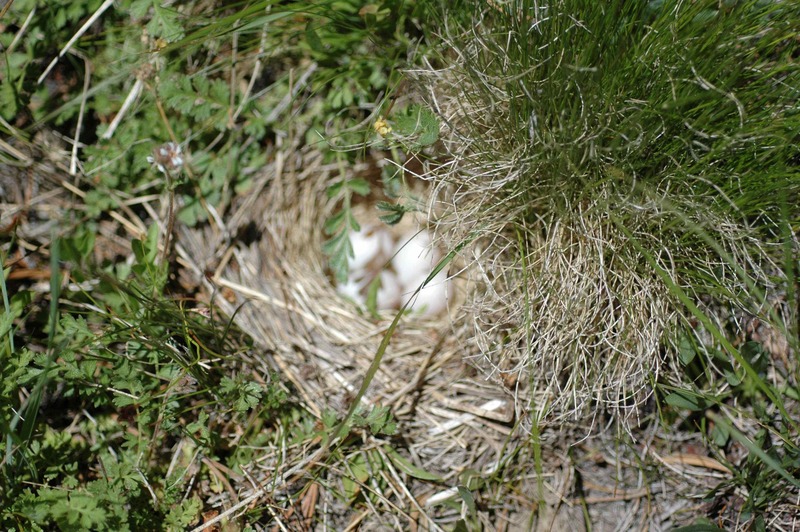 This nest also is in a meadow, although it’s a bit less well-hidden. I believe this female is also incubating, although I’m not sure. We found this nest on our last day at this particular site so I didn’t get a chance to observe much. Next time we visit this site, if all goes well, there will be chicks! 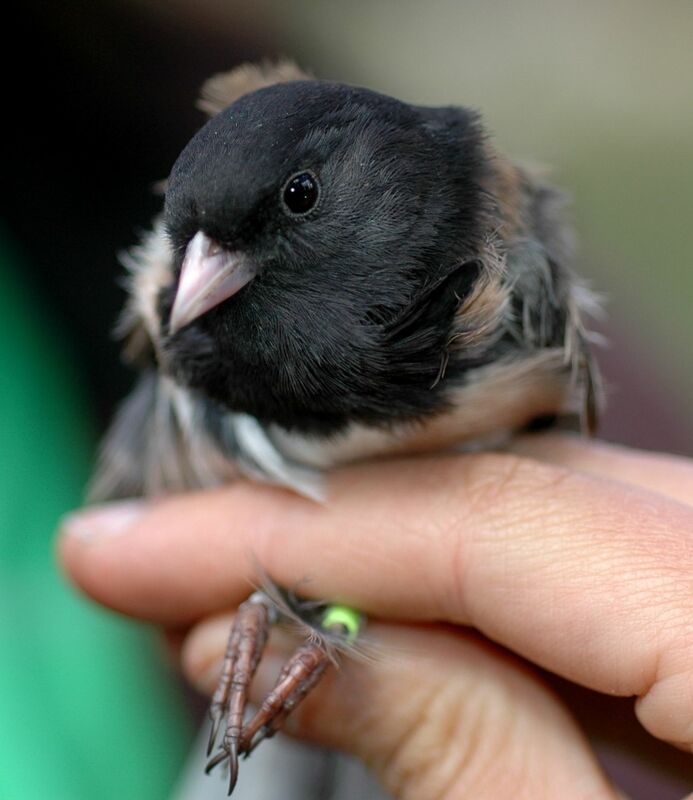 This entry was posted in DEJU, field work, notable juncos and tagged ALGE, birds, Dark-eyed Junco, eggs, nest, OLLA by toughlittlebirds. Bookmark the permalink. 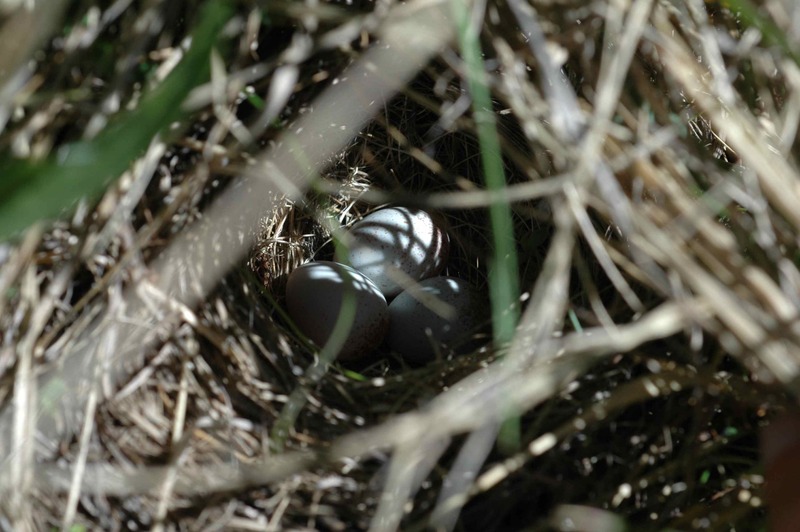 I didn’t know juncos nest on the ground! Does that make it easier for predators to get the chicks? Uh oh. Thought the comment would tell my identity. Not trying to be “anonymous”! It’s Lindsay.